Getting a new pair of sunglasses can sometimes be quite daunting! Despite what might be in style or the fashion of time time, its important that they suit you and look fantastic and you feel confident. It’s true that not all styles suit everyones face shapes, but how do you work out what face shape you actually have? Here is a nifty link I discovered (an ugly flow chart and everything!) once you have worked out what face shape you have, how do you know what styles might suit you? Here is a pretty good guide I found that might help you out. Now, none of these ‘rules’ are set in stone as you might pick something up, slap it on your face and it look awesome, but it’s a good way to narrow down what would usually be a huge selection. 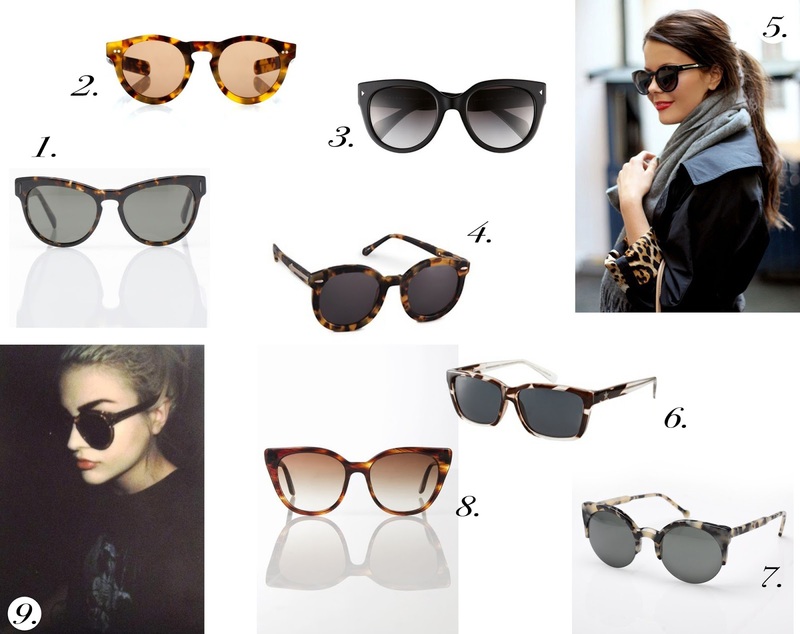 I know for me, I suit a cat eye style (1 & 6), I need to have a butterfly like top to my glasses where the pints of the rims are higher than the bridge of the nose, if they’re too straight across I look ridiculous. Black is too harsh for my fair complexion so I tend to lean towards tortoiseshell which is also a little more timeless. And please, there is zero excuses for wearing sunglasses inside. One way ticket to douchebag town. 9. super glasses, super eye brows.